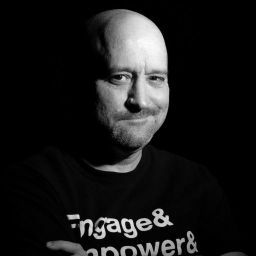 The next thirty minutes flew by in a blur of systems initializations and checklists. Nick had run through the process so many times in the past two years, he could have done it in his sleep. And yet, as he sat secured in the M.A.N.T.A.&apos;s pilot seat, surrounded by a menagerie of floating holographic displays -- this time things were different. This wasn&apos;t system check #4,546 or pre-launch simulation #3,420. This was launch #1. The M.A.N.T.A.&apos;s maiden voyage. "M.A.N.T.A., this is control. ", the comms operator radioed. "Prepare to disengage all lines and detach from the dock." "Roger that control. ", Nick replied as he dismissed one of the floating holographic panels with the wave of his hand. A moment later the comm officer returned, "Detach remaining connections in three...two...one." Nick pressed a button on the console and a series of pops and hisses of hydraulics was heard as the remaining few lines unplugged from the M.A.N.T.A. in sequence. Some left a misty trail of gas as they retracted like large snakes, back into their stations. Nick confirmed that several status indicators switched to green as the ships system became independent from the bay. The umbilicalcord had been cut and the M.A.N.T.A. was operating completely under its own power. "All systems are in the green, control. ", Nick confirmed. "Roger that M.A.N.T.A. ", the comms officer replied. "Preparing to detach you from all moorings in three...two...one." A slight metallic clang echoed through the bay as the mechanical arms that secured the M.A.N.T.A. to the dock released in unison. Nick felt the ship drop several inches into the water as it bobbed gently to it&apos;s neutrally buoyant depth. "You are free of all lines and moorings. ", the comm officer reported. "Bay doors are open and you are cleared to launch." "Roger that command. ", Nick said with a grin. "Well then. If nobody has any objections, I say we get this show on the road." "You may leave at your discretion M.A.N.T.A. ", the comm officer said with a smile. "Good luck and Godspeed Lieutenant Commander." "Roger that, command. ", Nick replied. "I&apos;ll see you guys in a few days. Maybe I&apos;ll bring you back a souvenir." The comm officer smiled as he watched the M.A.N.T.A. through the collection of enormous windows that currently served as displays at the front of mission control. "Just come back in one piece and we&apos;ll call it even." The twin turbines whined and rotated forward slightly, gently pushing the M.A.N.T.A. through the water and out of it&apos;s dock. Nick kept the top half of the ship above water until it cleared the massive bay doors. Dozens of crewmen and stood along the lower walkways of the bay and applauded as the ship made it&apos;s way toward the giant bay doors. As the ship left the shadow of the hanger, the sunlight shown brightly through the cabin, casting shadows from the front windshield supports that moved across the interior. "This is the M.A.N.T.A.," Nick radioed, "We are on our way." Then slowly, gracefully, the ship descended below the water&apos;s surface, vanishing in a trail of ripples. The maiden voyage of the M.A.N.T.A. had begun. Nick and the M.A.N.T.A. proceeded approximately 80 miles south of Guam at a relatively shallow depth. Keeping to a depth of only a hundred or so meters allowed for Nick to stay in radio contact with the surface for regular checkups, questions and instructions. However, once the M.A.N.T.A. began it&apos;s dive into the Marinas Trench contact with the surface disappeared. Radio waves don&apos;t travel very well through salt water or rock. For a time, Nick would be alone in the deep. "Passing 15,000 feet and all systems remain green. ", Nick reported into the ships flight recorder. His eyes bounce effortlessly from display to display as he updates his status. "Currently at a 60 degree angle descending at around...125 feet per minute. ", Nick reports. "And I&apos;m not even pushing her hard." Nick had tested dozens of crafts, some in the air, some in the water, plenty under the water, but none the rode as smooth as this one. Instead of the standard feeling of plowing his way through the ocean like someone pushing and shoving his way through a crowded room, this little ship felt more like he was riding along a razor&apos;s edge, cutting through the water. What he liked even more is that it handled like a jet fighter, only without that annoying "gravity" thing to get in the way. "Hull pressure is having no trouble adjusting to the depth. ", he continued. "There have been a few creaks and groans but so far no leaks...which is a good thing. I should be reaching the station anytime now." "Deep Blue, this is M.A.N.T.A., do you read me?" There&apos;s no reply from the other end. "Deep Blue, this is M.A.N.T.A., anyone home?" After a brief moment a young female voice answers back, "Roger M.A.N.T.A., this is Deep Blue, please proceed to the moon pool located on the underside of the station for standard boarding, over." "You got it. ", the pilot replied. The female voice was unexpected, and caught him a little off guard. The briefing had stated the marine station was manned by just one person...a man. Whoever he heard over the comms was definitely not a "Mr. Anything." Curiosity got the better of him as he opened the mic up again, "Deep Blue, who am I speaking to?" Again, there was another longer than expected delay. And just before he was about to ask the question again the voice replied, "This is Cindy. Over." Apparently, the intelligence on the residence of the habitat needed to be updated. The M.A.N.T.A. continued its descent along the wall of a nearby cliff. It veered left to miss a rocky ledge and for the first time Deep Blue came into view. It stood out like an island of light in the dark ocean waters. The station was nestled on a rocky ridge that protruded from the cliff. The ledge wasn&apos;t much larger than the station itself. With the cliff continuing downward into the darkness it was apparent that falling off the ledge was something to avoid. Deep Blue was a cluster of ten or so spheres of varying sizes organized in a wagon wheel configuration, with the largest sphere in the middle. Large circular tubes formed the radiating spokes of the wheel and appeared to serve as passageways between the other compartments. There were only a handful of small circular windows periodically along the sides of the spheres. Blue running lights dotted the outer edges. A variety of mounted spotlights illuminated not only Deep Blue, but also the surrounding area as well. Several large hoses and cables were scattered along the ground. Some ran to nearby storage tanks, others disappeared into the darkness and upwards toward the surface. Several small underwater drones could be seen flashing and skimming about doing whatever task they were programmed to perform. As the M.A.N.T.A. approached the station it glided smoothly below the center sphere. From that angle, a large circular opening could be seen. This was the moon pool, the underwater docking bay. It was big enough for the ship to fit, but didn&apos;t leave much room for error. Nick radioed in a final transmission before his arrival, "Deep Blue, this is M.A.N.T.A., I&apos;m coming in. I&apos;ll see you guys inside in a minute." "Understood. ", The young female voice replied over the comms once more, "Welcome to Deep Blue Lieutenant Commander Sheppard." We&apos;ve finally made it to Deep Blue, the Earth&apos;s deepest underwater research station. For comparisons sake, the deepest stationary underwater research lab currently in operation is the Aquarius that sits off the coast of Florida at a depth of only 120ft. That&apos;s a little shallow compared to Deep Blue&apos;s position at a little over 15,000ft. If you liked this chapter, please consider giving it a &apos;vote&apos;. I really appreciate it. 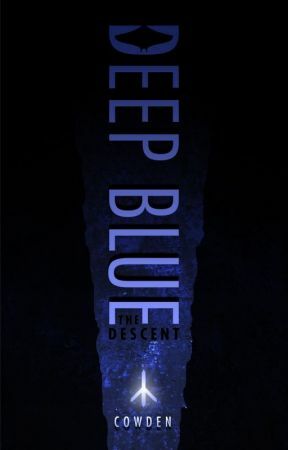 Visit the official Deep Blue website: http://deepblue.toddworld.com for more information on the science and inspiration behind the story.